Being good is always worthwhile! The company were in the initial stages of developing a TV advert for national television as part of their marketing strategy. When a prize at a charity ball presented itself and helped turn the advert into reality. Q: How did the advert come about? A: Back in March of this year I noticed a local charity event, The Ardgowan Hospice Holywood Ball, were offering the chance to win a TV advertising campaign for your business. Q: What can you tell about campaign planning? A: STV City reaches 855k viewers a month featuring brand new programmes such as Live at Five, My life in 10 Pictures and Peter & Roughies Football Show as well as some of the most iconic Scottish classics like Take The High Road and Taggart. Our 30 second advert will be shown 150 times over a 2 week period from 27/04/16 on STV Glasgow and will also go multi platform across STV digital services such as STV Player (http://player.stv.tv/). If successful we hope to continue with the campaign as part of our ongoing marketing strategy. Q: What is the commercial focus of the advert? Which unique selling point did you choose to put in the spotlight? 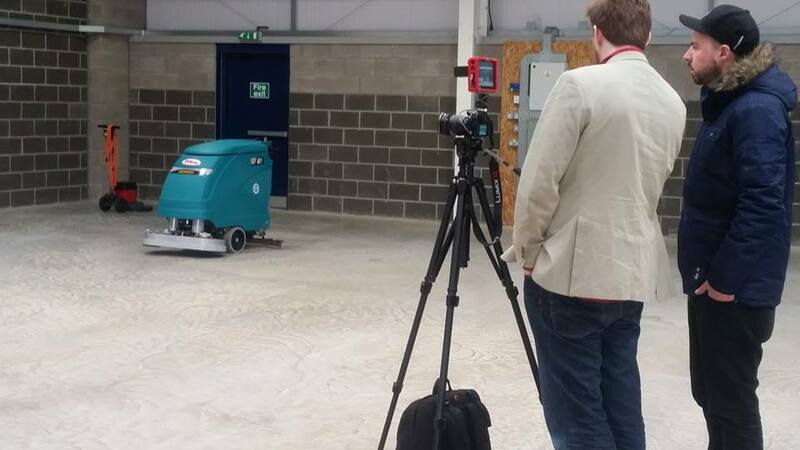 A: Despite little Henry trying to get in on the act, the star of the show is the Eureka E81 floor scrubber dryer who demonstrates that although “your business won’t clean itself” it can seem effortless with rugged professional cleaning machines from Eureka and high quality customer service from PTS Clean aka “the cleaning machine people”. Congratulations to PTS for the winning bid at the Ardgowan Hospice Holywood Ball and for launching their TV advert. Charity is always a noble, worthy gesture.